Company plans to land rocket at sea after payload delivery. SpaceX scrubbed the launch of its latest rocket for the third time this week on Sunday night, but the company says the rocket and its payload are “healthy” and they expect to launch later in the week, according to a report in the Orlando Sentinel. The launch of the same rocket with its Luxembourg-based SES payload was also scrubbed on Wednesday and Thursday, with the launch aborted within the last two minutes of the countdown on Thursday. SES already has over 50 satellites in orbit, and the officials of the company hope the new launch will expand its capacity. Sunday’s attempt was put on hold for a period of time due to a boat that had gotten in the way, but that obstacle was cleared and the countdown resumed. The signal to abort the mission was given just as the countdown reached the zero mark. 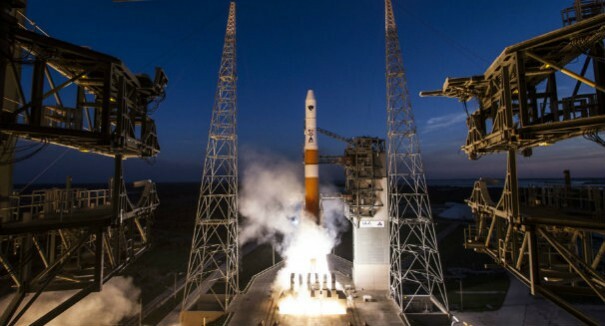 This would have been the first launch from Florida’s Space Coast in 2016, and would have taken a satellite into orbit that was planned to assist with telecommunications and broadcasts in Asia. The company also planned to attempt to land the rocket on an ocean barge after delivery of the payload. Re-use of the rockets is one of the company’s big goals for reducing cost of delivering payloads into orbit, and the success of that program could be a giant step in the company’s efforts to develop a mission to Mars in later years. Previous efforts to land the Falcon 9 rocket at sea have failed, but the company says it is close to a successful landing. SpaceX has already successfully landed the rocket on the ground, but the variables of the sea landing, including the precise location of the barge and the rate of descent, make the task much more difficult. The company hopes for a successful launch of the rocket and payload as early as Tuesday.